Our Creative Writing Group has met since November 2004 every Saturday morning. The group consists of a diverse range of people, from Africa, The Caribbean, England and indeed the rest of Europe. 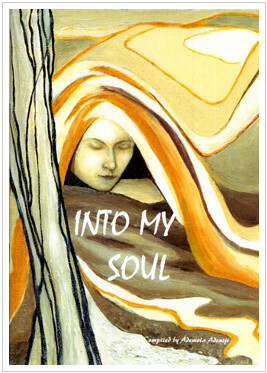 Into My Soul, a collection of poetry reflecting feelings, thoughts and perspectives has been put together by writers of the Creative Minds group. The poems are as diverse as the personalities of the writers themselves. The writers have however been brought together by one objective: The love of writing. The poems displayed at this exhibition have been taken from the series of workshops, where each poet has had to develop a piece of writing usually within an hour. There are currently members in South Africa & Zimbabwe. The themes are diverse, reflecting subjects ranging from life to death. Some of the poems are witty and funny, some are thought provoking and emotional. Whilst others reflect the experiences, thoughts and imaginations of the poets. In 2007, the group produced a poetry Anthology ‘Into my Soul’ and also has another collection of short stories due for publication soon. Four members of the group also wrote the ‘200 Years’ play performed at The Palace Theatre towards the bi-centenary commemoration of the Abolition of the Slave Trade in November 2007. The group was also involved in the ’Milestones’ project again in 2009. There have been other cases of individual successes within the group, Charles Adams has had over 20 poems accepted for publication with United Press. Others have found it very valuable and essential to their writing. “You really have no idea how grateful I am to your group. It has kept me afloat and forced me to keep writing. Sometimes I look at the next prompt and say to myself “I think I’m going to skip this one” basically because it’s a case of “how am I going to do this one”. And then I really get into it. “I always think that poetry has never been my strong point so when I see a prompt about a poem I too want to skip that one. But, there I’ve just completed two poems. Generally all of you have kept me writing. This weekend I am meeting with my former writing collective in an attempt to revive it. I am thinking of starting a writing group here.